What happens if you are on a Medicare Advantage Plan and your plan denies a claim? Do you have any recourse? Yes, you do. You can appeal a claim with Medicare Advantage. Below is how to do it. You, your representative, or your doctor can go to the Health Insurance Plan/Insurance Provider (Medicare calls the insurance company that handles your plan a QIC) and request an “organization determination”: This is the first step to appeal a Medicare Claim with Medicare Advantage or your health plan. At this point, you will be asking your plan to cover services that you think should be covered, provided, or continued. Many times your doctor will be handling it at this stage. If you lose the appeal, you’ll receive a notice with an explanation. It will also tell you how to appeal the decision. Plans must tell you, in writing, how to appeal. If you decide to appeal their decision, this is level 2. Your appeal is reviewed by an independent organization (Independent Review Entity or IRC) that works for Medicare, not the insurance company. If you disagree with the determination, you have 60 days to request to go to level 3 and there will be information on how to do this in your determination letter. If you go to level 3 to appeal a Medicare Claim with a Medicare Advantage Plan, you will go in front of an Administrative Law Judge who will review your case either by phone or video conference. To get to this level, your case must be for a minimum of $150 in 2016. You can review the Level 3 process HERE. 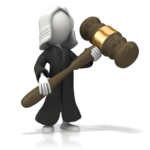 The next step is to request that the Medicare Appeals Council (Appeals Council) review the Administrative Law Judge’s decision in If you're requesting that your case be moved from the ALJ to the Appeals Council because the ALJ hasn't issued a timely decision, include the hearing office in which the request for hearing is pending. In most cases, the Appeals Council will send you a written decision within 90 days of receiving your request. You can appoint your doctor or other prescriber to be your representative at this level, but you need to complete a form to do so. You can review the Level 4 process HERE. If you disagree with the Appeals Council's decision in level 4, you have 60 days after you get the Appeals Council's decision to request judicial review by a federal district court. In order to get to level 5, your appeal must meet a minimum dollar amount, which in 2016 is $1,500. You will receive instructions on how to initiate Level 5 in the determination letter that you received in Level 4. For a review of the Level 5 process, you can go HERE. You can contact HICAP if you need help filing your appeal(s). Visit aging.ca.gov/hicap or call 800-434-0222 for information on how to contact your local office. 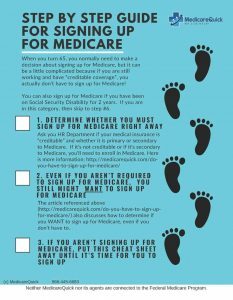 I had a difficult time researching this information on the Medicare.gov website because of the terminology that is used. I couldn’t figure out the difference between a QIC (Qualified Independent Contractor) and an IRC (Independent Review Entity) because the Medicare.gov website refers to them both when explaining the process and it seemed like they were talking about the same thing. The good news is that 1-800-Medicare is open 24 hours a day, so I picked up the phone and called. After spending some time on hold they asked me for my Medicare ID. Of course, I don’t have one, so I asked my husband if I could call on his behalf, and he said yes. The woman who answered the phone took his information and then was able to answer my question, what is the difference between QIC and IRC. She answered me, and I still did not understand what she was saying. After a few minutes of going back and forth, I finally got my answer. Medicare considers the HEALTH PLAN or INSURANCE COMPANY to be the QIC or Qualified Independent Contractor. The IRC is the review board that oversees the insurance company’s decisions. I’m glad I got that cleared up! If we can be of help to you when you are looking for a Medicare Advantage Plan or a Medicare Supplement Plan, please give us a call at 866-445-6683, or contact us HERE.